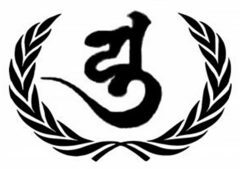 The United Buddhist Nations Organization solemnly proclaims the UNIVERSAL DECLARATION ON THE RESPONSIBILITY TO SAVE THE WORLD. Article 1 – Humanity has the duty to protect the interests and needs of present and future generations through humanitarian and environmentalist actions. Article 2 – Humanity has a duty to defend freedom, equality and fraternity, especially the fundamental human rights and the political, economic, cultural and environmental development of peoples. Article 3 – Humanity has a duty to preserve the ethical and spiritual wealth of all traditions of the past and present, allowing them to develop in order to persist and evolve in the future. Article 4 – Humanity has the duty to maintain and perpetuate life, ensuring that species can survive with dignity, since the human being has no right to destroy sentient beings. Article 5 – Humanity has the duty to preserve the diversity, balance and integrity of ecosystems, promoting sustainable industrial development without depredation of natural resources and without contamination of flora and fauna. Article 6 – Humanity has the duty to protect the existence and health of the Mother Earth, not destroying the organs of the planetary body which are the ecosystems, but neither hindering or damaging the self-regulation and self-healing systems of Mother Earth. Article 7 – Humanity has the duty that technological development is in harmony with life, not jeopardizing the survival of the world under no circumstances, so that technologies such as weapons of mass destruction must be abolished. Article 8 – Humanity has the duty to protect its genetic heritage, respecting the intrinsic dignity of the human being when carrying out scientific interventions that affect present or future generations. Article 9 – Humanity has the duty to protect and preserve cultural heritage and legacies, contributing to the transmission of this common heritage. Article 10 – Humanity has the duty to foster intercultural cooperation, especially between different religions and different civilizations, since the spirit of friendship and mutual support is the best ethical and spiritual education for the people, encouraging the awareness that peace and justice are fundamental for the salvation of the world. Article 11 – Humanity has the duty to provide advanced and free education for all peoples and social classes, since education is the main resource and power for every individual to develop and free themselves from the misery of war, poverty and pollution. Article 12 – Humanity has a duty to create a world of peace, social justice, tolerance and solidarity, where each human being benefits from the compassionate wisdom and can have full access to a life of Liberation and Awakening. Article 13 – Humanity has a duty to identify, protect, conserve and transmit the spiritual heritage to the generations of the present and future, which is the key to the Salvation of the world. Article 14 – Humanity has the duty to ensure that the generations of the present and future are able to achieve the Salvation and Evolution of the world, ensuring that each subject, institution or government assumes the responsibility to contribute to the ideals of this Supreme Purpose which is the ethical mission of the United Buddhist Nations Organization.